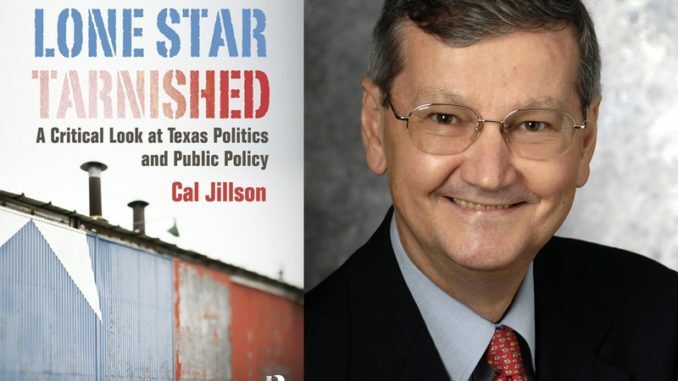 In this excerpt from his new book — Lone Star Tarnished: A Critical Look at Texas Politics and Public Policy — political scientist Cal Jillson of Southern Methodist University writes about the state’s demographic changes and what those changes will mean. In Parents Involved in Community Schools vs. Seattle School District #1 (2007), United States Supreme Court Chief Justice John Roberts wrote that “The way to stop discrimination on the basis of race is to stop discriminating on the basis of race.” American law, the chief justice declared, should be color-blind. This view strikes a positive chord with most Americans; every schoolchild knows that the most famous phrase in the Declaration of Independence is that “all men are created equal.” Yet race and ethnicity have been touchstones of American life throughout our history. White majority status has always commanded privilege, even if only in the absence of roadblocks, while minority status has often meant limited opportunity. More than a century before Chief Justice Roberts wrote, Associate Justice John Marshall Harlan made a similar point in the infamous case of Plessy v. Ferguson (1896). Justice Harlan reminded his colleagues that, “in view of the Constitution, in the eye of the law, there is in this country no superior, dominant, ruling class of citizens. There is no cast here. Our Constitution is color-blind, and neither knows nor tolerates classes among citizens.” Tragically, Justice Harlan was on the wrong end of an 8-to-1 majority that found in favor of Louisiana’s right, and that of other states (i.e., states’ rights), to separate blacks and whites in public places. Justice Harlan’s claim that the Constitution was meant to be color-blind was rejected by his colleagues. Is Chief Justice Roberts right today to argue that America could become a color-blind society if government simply stopped recognizing race, or, is he just as wrong today as Justice Harlan was more than a century ago? Race and ethnicity have been profoundly important in American and Texas history. Distinctions of race and ethnicity were written into every U.S. immigration statute from the 1790s through the 1950s and remain central to our discussions of immigration today. Similarly, Texas used its constitutions and laws to define who was welcomed, who was excluded, and with what degree of force. As the Anglo majority that has governed Texas since its independence fades into history, what kinds of political change will follow? Texas has grown more rapidly than the U.S. since the 1830s, a fact in which Texans take pride each time new census figures are announced. The 2010 census figures showed that Texas had grown by 21 percent since 2000, adding almost 4.5 million people, while the U.S. had grown by just 10 percent. Many Texans assume that their burgeoning population numbers reflect the state’s dynamic economy when compared with an overtaxed and regulated national economy. To some extent they do, but they also reflect the more mundane fact that Texas, California and Florida entered the union late as large and largely empty states. Late entries, starting from small numerical bases, put up large percentage increases. Still, Texas has been putting up big numbers for a long time. During the first half of the 19th century, the U.S. grew at a very robust 35 percent per decade. During the second half of the century, U.S. growth moderated a bit, to the still very solid 25 percent per decade. By 1900, the frontier was closed, the processes of urbanization and industrialization were well under way, and by the mid-20th century the U.S. was an advanced industrial society. Though immigration was limited from the mid-1920s through the mid-1960s, population still grew at the rate of about 15 percent per decade. Not surprisingly, late arrivals on the periphery — Texas, California and Florida — grew more rapidly than the nation, especially in their early decades. Texas experienced a 187 percent population increase in the 1840s, once independence was secure, rising from 78,000 to 223,592, and in the 1850s growing by 170 percent from 223,592 to 604,215. The 1849 discovery of gold at Sutter’s Mill near Sacramento drove a 310 percent population increase in California during the 1850s. Growth rates for Texas, California and Florida remained well above the national average after 1860. California grew by almost 50 percent per decade for the next 100 years. Florida grew by 39 percent per decade during the same period, while Texas grew at 33 percent per decade. In the past half century, since 1960, Florida has grown at 33 percent, Texas at 21.4 percent, and California at 19.2 percent. From 2000 to 2010, Florida grew at 25 percent, Texas grew at 21 percent and California trailed off to just 10 percent, no better than the national average. Texans struggle not to celebrate the decline of California, but they also worry about what the future holds for them. There are reasons for concern. Though Texans rarely attend closely to French philosophers, one 19th-century French philosopher, Auguste Comte, made a point — “demography is destiny” — that has been much on Texas minds lately. Demography is the statistical study of the size, structure, growth and distribution of human populations. 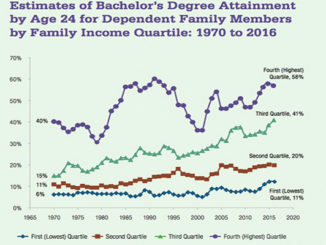 Other social sciences, including economics, sociology and political science, draw on the findings of demography to study variations in income, wealth, education, health and the like by race and ethnicity. Many Texans are aware that broad demographic changes have been under way in the state for decades. Some wonder whether the ongoing demographic changes forecast for Texas — a shrinking Anglo population and an expanding Hispanic population — foretell a certain “destiny” for Texas. Texas’s rapid population growth has masked some internal dynamics of the growth that will repay detailed attention. In 1800, there were probably fewer than 30,000 inhabitants in Texas and more than 85 percent of them were American Indians. The rest were Spanish and Mexicans with a few black slaves. In 1850, when Texas was first included in the U.S. census, there were fewer than a quarter-million people in the state, but most now were whites and their black slaves. Population took off from there, breaking 1 million in the early 1870s and 3 million by 1900. In 1900, Texas was an overwhelmingly Anglo republic. Whites were almost 80 percent of all inhabitants, the black population was falling and Hispanics, though probably undercounted, were reported to be less than 5 percent of the population. Total population grew steadily through the 20th century, breaking 5 million in the 1920s, 10 million in the 1960s, 25 million by 2010, with projections of 35 million by 2040. Prior to the 1980s, there was little suspicion that Texas’s Anglo republic was threatened. Though Anglo Texans know that the demographic makeup of the state is changing, most probably do not realize that the Anglo population of Texas has grown slower than national population growth since 1980 (7.3 percent per decade compared with 11 percent). Moreover, the Texas state demographer projects that the growth of the Anglo population over the next three decades will be — precisely — zero. While black population growth has outstripped Anglo growth since 1980, it is Hispanic growth that has been truly eye-popping. Over the past three decades, Hispanic population growth in Texas has averaged 45 percent per decade and is projected to grow at 27 percent per decade over the next three decades. 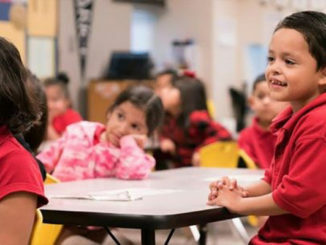 Texas has two choices: It can either try to change these numbers, or it can try to change the social and economic attributes of the coming Hispanic majority. Over the first century and more of the state’s history, Texans and their political leaders took the first path; they tried to shape the racial and ethnic makeup of the state. During the coming decades, Texans and their political leaders will either commit to the second path, changing Hispanic social and economic attributes, or pay an unsustainably heavy price. Jillson joined the faculty of Southern Methodist University in July 1995, and served as chairman of the Department of Political Science and director of the John G. Tower Center for Political Studies from 1995 to 2001. He is a frequent commentator on domestic and international politics.